So far this year we’ve already revealed a new Discount type – The Meal Deal – and an all new Discount Manger in Kobas Cloud to help you set up your discounts with confidence and ease. 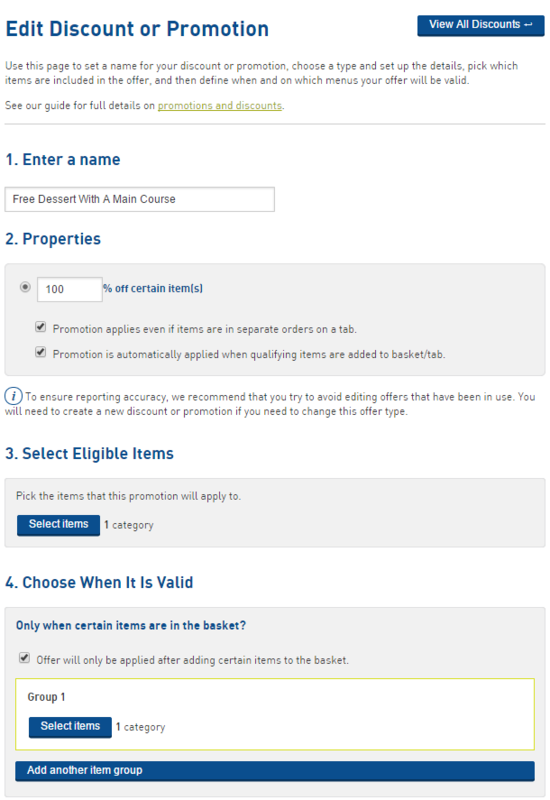 Today we’re delighted to announce a new way to control any existing discount type, by introducing Qualifying Items. 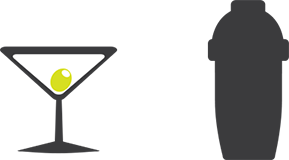 You can now create powerful promotional incentives to control any existing discount by requiring the customer to buy certain items before discounts become available. For example you might want to offer a free dessert if the customer has also bought a main course. On the EPoS units, discounted items will be marked with an orange circle, and those qualifying items will be marked with a similar tick symbol. Ever wanted to go back in time and investigate an old tab? Now you can use the Journal (in the Admin menu) to do just that! You can then tap on the black “Tabs” button to see all the tabs that were closed in that session. You can sort the list of tabs by tapping any heading, and you can search the tab list by tab name. 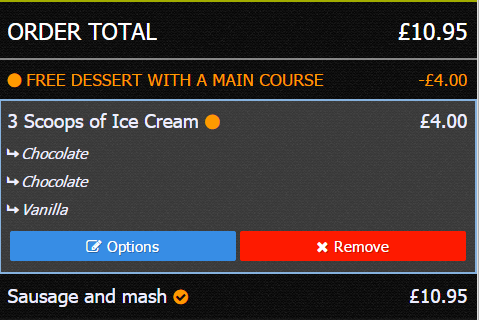 Once you’ve found the tab you’re looking for you can view it as normal, showing all orders, voids etc. You can even re-print the receipt. Good times!